By Brother Miles P. Robinson. The founding of Pequossette Lodge being, of necessity, dependent on the existence of Masonry in Watertown, makes it seem only fitting and proper to preface a history of the Lodge by a short outline of the history of Masonry in New England. Masonic records show that one Henry Price was appointed the first Provincial Grand Master of North America in April 1733 by Anthony Lord Viscount Montague, Grand Master of England. Henry Price, for whom a Lodge in Charlestown is named, organized the Provincial Grand Lodge at The Bunch of Grapes Tavern in Boston on July 30, 1733. The Grand Lodge, being thus organized under the designation of Saint John's Grand Lodge, proceeded to grant warrants for instituting regular Lodges in various parts of America; and from this Grand Lodge originated the first Lodges in Massachusetts and other states. Regular meetings were suspended when Boston became a garrison of the British in 1775, and no assemblies are recorded until after the re-establishment of peace. In the meantime, in consequence of a petition to the Grand Lodge of Scotland, a charter was granted on November 30, 1756, by Sholto Charles Douglas (Lord Aberdour), constituting a regular Lodge under the title Saint Andrew's Lodge, No. 82, to be holden in Boston. This establishment was discouraged and opposed by Saint John's Grand Lodge, who thought their privileges infringed by the Grand Lodge of Scotland. The prosperous state of Saint Andrew's Lodge soon led its members to make great exertions for the establishment of an Ancient Grand Lodge in America. This was effected in 1769, when a commission was received from the Right Honorable and Most Worshipful George, Ear! of Dalhousie, Grand Master of Masons in Scotland, appointing the Right Worshipful Joseph Warren, Esq., Grand Master of Masons for New England. The meetings of this Grand Lodge were also suspended in 1775 for a brief period, due to the occupation of Boston. The death of General Joseph Warren at the Battle of Bunker Hill left the Ancient Grand Lodge without a head, but on March 8, 1777, this Grand Lodge assumed its independence of Scotland by electing its own Grand Master, Joseph Webb. Finally, the officers and members of the two Grand Lodges met in conjunction on March 19, 1792, and installed the Most Worshipful John Cutler Grand Master; and resolved "That this Grand Lodge shall forever hereafter be known by the name of 'The Grand Lodge of the Most Ancient and Honorable Society of Free and Accepted Masons for the Commonwealth of Massachusetts'. " As both Grand Lodges had instituted regular Lodges and had assigned numbers to them, there were numerous duplications of Lodge numbers and it is for this reason that the numbers were given up and no Massachusetts Lodges have numbers. The first Masonic body organized in Watertown was Meridian Lodge, chartered on December 11, 1797, having a jurisdiction embracing the towns between Boston and Concord, and concerning the early history of which little is positively known. For reasons unknown, Meridian Lodge was moved to that part of Needham now known as Wellesley Hills, on June 10, 1811, and was again moved to Newton Lower Falls on September 13, 1843. In 1852, a number of Masons wishing to organize a Lodge in Natick, applied for dispensation in Framingham, but were denied. They then decided that perhaps Newton Lower Falls, being nearer than Framingham, would suit their purpose, and upon consultation with the officials, were told that Masonry in Meridian Lodge was at a low ebb and it was suggested that the Lodge be moved to Natick. This was done by permission of the Grand Lodge on March 10, 1852. The original charter, all the furnishings, and practically all of the records of Meridian Lodge were destroyed by fire in July 1862, but in an old book of the Treasurer, under the date of 1798, the following names of members who were residents of Watertown appear, and it is presumed that they were charter members: William Bond, William Hunt, Daniel Jackson, John Meacham and Nathaniel Wales. John Meacham was the first Secretary, and William Hunt was the first Treasurer. Nathaniel Wales became Treasurer in 1811. Other Watertown residents whose names are recorded were Jonathan Robbins, who became Secretary on July 1, 1811, and Samuel Wellington, who became Treasurer in April 1801. Gen. William Hull of Newton was the first Master of Meridian Lodge. He had served as Junior Warden in Washington Lodge, a traveling military Lodge which was chartered by Massachusetts Grand Lodge in 1779. During the crisis precipitated by the Morgan episode in 1826, it was customary to vary the place of meeting from town to town; members drove to the appointed place, carrying guns with them to ward off possible danger from anti-Masonic sympathizers and spending the night in the town where the meetings were held. Many Lodges went underground and many suspended operation. For many years Watertown had no Masonic Lodge until after William Webster came to the Town, as Principal of the High School, from Lexington. He had recently taken degrees and held minor offices in Hiram Lodge in West Cambridge (now Arlington). Hiram Lodge was referred to at that time as Pattee's Lodge because the meetings were held in a building owned by R. W. Jesse P. Pattee. The first floor was used as a bakery by Bro. Pattee while the second story was used as a lodge-room. This building was torn down in 1906. William Webster came to Watertown in 1853, and in association with some of the prominent citizens, organized Pequossette Lodge. The name Pequossette was chosen for its distinctly local meaning, it being the Indian name for Watertown. This group applied for and received a charter which reads in part as follows. Whereas, a petition has been presented to us by Wm. Webster, J. B. Keyes, D. H. Marshall, Asa Pratt, Henry Derby, Geo. Kent Hooper, Chas. Wilkins, A. Lewando, Warren J. Lindley, S. Hiscock, David B. Horn, Asa Stone, Daniel Marshall, Geo. Hill, Wm. Nichols, Isaac Watts, Alfred Howes, Leonard Whitney and Geo. A. Hicks, all Ancient Free and Accepted Masons, praying that they, with all others who shall hereafter join them, may be erected and constituted a regular Lodge of Free and Accepted Masons, which Petition appearing to us as tending to the advancement of Masonry and the good of the Craft. Derby, Geo. Kent Hooper, Chas. Wilkins, A. Lewando, Warren J.
Watertown, in the County of Middlesex, and Commonwealth aforesaid. And we do hereby declare the Precedence of the said Lodge, in the Grand Lodge and elsewhere, to commence from the Fifteenth day of December, A.D. 1856, A.L. 5856. In testimony Whereof, We, the Grand Master and Grand Wardens, by virtue of the power and authority to us committed, have hereunto set our Hands and caused the Seal of our Grand Lodge to be affixed, at Boston, this Ninth day of December, Anno Domini, One Thousand Eight Hundred and Fifty-Seven, and of Masonry, Five Thousand Light Hundred and Fifty-Seven. by order of the Grand Lodge. The preliminary, or organizational meeting was held in Constitution Hall, Dana Block, on December 17, 1856. (The Dana Block was situated on Main Street, part way between Merchant's Row and Church Street.) At the next meeting, January 13, 1857, the name of the meeting place was changed to Masonic Hall and the Grand Lodge dispensation was received and accepted. January 13, 1857, is therefore considered the date of Institution. After working one year under dispensation, in accordance with Masonic Custom, Pequossette Lodge was duly constituted on December 23, 1857, with impressive ceremonies, by Grand Master John T. Heard. About sixty members and guests were afterward provided with a "bountiful and luxurious" repast, as the record states, at the Spring Hotel, Samuel Batchelder, mine host, being a member of the Lodge. Leg of Mutton, Caper Sauce. Turkey, Oyster Sauce. Black Duck, Canvassback Duck, Widgeon, Grouse, Partridge. Mince, Apple, Squash, Lemon, Cranberry Pies. It may be noted that none of the original officers advanced to become Master. The first applicant for degrees was Miles Pratt. His application, written on a plain sheet of paper, is still on file among the Pequossette records. Other applicants who received degrees during the first year were George W. Harrington, Luke Perkins, James Magee and Robert L. Davis. Mr. Davis is said to have contributed more than any other member to the success of the Lodge. He became Junior Warden in 1858 and was chosen as Master in 1860. On October 5, 1870, new quarters for the Lodge in the Noyes Building were dedicated by the Grand Lodge Officers, the ceremonies being held in the Town Hall. The Noyes Building was located on the left side of Main Street a short way from the corner of Galen Street. The following contributed to the furnishings: Bro. Leonard Whitney gave the marble clock which now hangs in the anteroom; Wor. Robert L. Davis, a set of Rods; Wor. John B. Goodrich donated the Master's Chair; Bro. Albert M. Davenport, a canopy (then used in the East); and Miles Pratt, a stove which was used for heating the Lodge. Leonard Whitney was one of the founders of the Hollingsworth & Whitney Paper Company, which was located on Pleasant Street near the dam. Albert M. Davenport was a florist who had greenhouses in East Watertown. Miles Pratt was one of the founders of the Walker & Pratt Mfg. Co. which was first located on part of what is now the Delta in Watertown Square but later moved to that part of East Watertown known as Union Market. In 1887 several members of the Lodge formed a building association for the purpose of erecting a building which would include new accommodations. They could have purchased land on the corner of Spring and Main Streets for $15,500, and expected to erect a building with stores on the first floor and apartments for the Lodge on the second floor. The plan did not materialize as it was decided that it would be unwise to undertake such a large enterprise. In 1888 Bro. Horace W. Otis, of Otis Brothers, who had grown up and prospered in Watertown, took up the subject of a new Masonic Hall with Wor. Alberto F. Haynes. His plan was to erect a building on the same site, provided that Pequossette Lodge would agree to lease the upper floor, if arranged to suit its purpose. On March 14, 1889, the plan was presented to the Lodge and Worshipful Master Herbert L. Sawyer, Wor. Charles W. Stone, and Bro. Freeman H. Edgcomb were appointed a committee to confer with the Owners with the result that, on June 13, 1889, the Committee, to which had subsequently been added Wor. Isaac Harrington and Bro. George F. Robinson, reported that the new quarters had been engaged at a rental of $750 per year; that other organizations, who jointly occupied the old building, also had agreed to move into the new, and that the sub-leases would make the cost to Pequossette Lodge but $300. A Masonic Fair, held in the new quarters, netted the sum of $1500, which was used in furnishing the new apartments. On November 14, 1907, Bro. Cornelius C. Hodges, who was Chaplain for thirty-two years, presented the Lodge with an illuminated letter "G" which was installed over the "Oriental Chair of Solomon." This was the first of three very fine gifts which were made by Bro. Hodges and presented to the Lodge; the second being a most unusual Ballot Box which was received on September 12, 1912. On June 8, 1911, it was voted that a committee of ten be appointed to look into the matter of obtaining increased accommodations. It was at this time that the Otis Brothers were planning an addition to the existing building and on December 16, 1911, it was voted to lease the entire third floor for $1250 per year. Most Worshipful Melvin M. Johnson was present with his suite. The Architect of the building, Wor. A. F. Haynes, was escorted to the East, where he presented the working tools to the Grand Master, who in turn placed them in the hands of the proper Grand Officers and ordered them to inspect the building to see if it were properly constructed. The report was most favorable. It was at this time that the illuminated emblems which were designed and assembled by Bro. C. C. Hodges were installed over the Master's chair in the East. The amount of $3500 for furnishings was raised by a committee of which Bro. B. Fay McGlauflin was the Chairman. On March 12, 1914, Bro. G. Fred Robinson, on behalf of a committee which also included Bros. A. Lester Shipton and Edward H. Coombs, moved that a pipe organ be purchased for the Lodge for a sum not to exceed $2500. The motion was carried unanimously. The organ was purchased and the money was raised by subscription. On March 14, 1914, a beautiful silk American Flag was presented to the Lodge by Bro. George Chamberlain on behalf of twenty-six members whose names began with "George" in honor of our ancient Brother George Washington. The opening of the new apartments stimulated so much interest in Masonry that nearly fifty applicants were received during the year 1914. Applications for degrees immediately after World War I were almost overwhelming. In 1918, a total of sixty-three members were added while during 1920, a total of ninety-four, most of whom received their degrees in Pequossette, were added to the membership. At one of the meetings held during 1920 it took over four hours to ballot on the candidates. Such an amount of business made it necessary to hold six meetings a month. These were held on two Thursdays and four Saturdays each month from January till June. It is remarkable that the Master, Wor. A. Lester Shipton, was able to attend to his duties, which included many visitations, without an automobile. Wor. 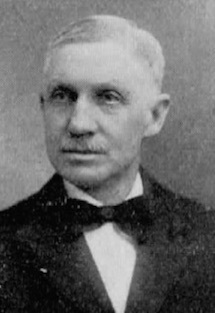 W. W. Norcross, Jr., was Senior Deacon at the time and it is hardly comprehensible that he was able to furnish the required instruction to nearly ninety candidates during the short space of one year. In 1920, a group of sixty Brethren, all or mostly all of whom were members of Pequossette Lodge organized a second Lodge in Watertown, Victory Lodge. They felt that there was need for another Lodge because the entire time of the officers was of necessity confined to degree work and because no business other than balloting could be transacted at the regular communications. The first Master, the Right Worshipful George H. Dale, and all other officers were members of Pequossette Lodge. The present membership of Victory Lodge is approximately 260. Saturday night "Sodalities" first held on January 11, 1872, were social gatherings of the members when Masonic Brethren could either listen to or indulge in discussions or debates amid clouds of tobacco smoke, but these were given up when it became necessary to hold regular meetings on Saturdays, and have not been revived. Until 1911 it was the usual custom for the officers to serve two years in each of the seven line offices, which meant that fourteen years had elapsed from the time one became Inside Sentinel until he retired as Past Master. It is also of interest that up to the year 1869 the Lodge met on the Thursday evening on or after the full moon, in order to permit easier and safer traveling on the dark roads. Since 1869, however, the regular meetings have been held on the second Thursday of each month. Membership appears to have been 254 in 1907 and increased to 725 by 1931. The present membership is approximately 620. The celebration of the 25th anniversary of Pequossette Lodge was held on December 14,1882, the date of the regular communication. The Lodge was opened at 7:15 p.m. with sixty-five members and sixty guests present, and closed at 10 p.m. Afterwards an excellent supper was served by the Stewards and Tyler consisting of scalloped oysters, celery, ice-cream, and coffee; and it was midnight before the entire company had dispersed. An historical sketch, published in the Watertown Enterprise in December 1882, states that the total membership up to that time numbered 284; the active membership then remaining was 130. The 50th anniversary of the Lodge was celebrated in the form of Old Home Night for members only on December 12, 1907. A supper was served in the Town Hall at 6 o'clock with music furnished by the Pequossette Orchestra; Robert G. Home, violinist; Thomas Halpin, cornetist; and Ernest W. Day, pianist. At 7:45 the Brethren proceeded to the lodge-room and the Lodge was opened in due form. Most Worshipful Grand Master John Albert Blake, accompanied by R. W. George P. Whitmore, was escorted into the Lodge by a committee composed of the Past Masters of Pequossette and pleasant greetings were exchanged. Wor. Benjamin H. Dow, on behalf of the ladies of the members, presented the Lodge with the Square and Compasses and a gift of fifty dollars in gold mounted on blue velvet, which were gratefully received. The money was later used to purchase regalia for the officers. A musical entertainment was furnished by the Pequossette Orchestra and Wor. Alberto F. Haynes gave a history of the Lodge from its beginning to the present time, which was very interesting and closely listened to. Bro. John G. Maynard of Washington, D. C, who was one of the oldest members, made the trip for the sole purpose of attending the celebration. There were 157 members and three visitors present. The 75th anniversary of Pequossette Lodge was celebrated on Saturday, December 10, 1932, at the Commander Hotel in Cambridge, beginning with a reception at 5:30 p.m. and dinner at 6:15. Wor. Elroy B. Edson made an address of welcome and R. W. George H. Dale acted as Master of Ceremonies. The speaker of the evening was Most Worshipful Melvin M. Johnson. Wor. S. Eugene Proctor gave a history of the Lodge which has been preserved in the Secretary's records, and Wor. William F. Robbins read a prophecy for the future, which is also to be found in the records. Community singing was led by Wor. John P. Hach and was followed by an entertainment and dancing. There were approximately 250 who attended. Tickets were $2.00 each. Over the years the Lodge has had numerous bequests to the Charity and Building Funds. These have ranged in amount from $100 to $25,000. We are sincerely grateful to the donors of these bequests, not for their intrinsic value alone, but for the manifestation of devotion to our organization and its principles. A Building Fund was established on June 9, 1921, by an Article in the By-Laws which were adopted on that date. Within two years, various sites were being considered by the officers and members, and a Building Committee was appointed. This Committee, while not inactive, were apparently handicapped by a lack of sufficient funds, and on February 12, 1931, after a thorough discussion which lasted over an hour, a Ways and Means Committee was appointed for the purpose of raising money to increase the Building Fund. The economic depression of the thirties followed by World War II and Korean Action made it necessary to postpone any concerted activity on fund raising. It is sad to note that out of sixteen members who served on that Committee, only three are alive today. The accumulation of money has been augmented to quite an extent by several bequests, the largest of which was by Bro. Harry W. Brigham. In 1955 the Watertown Masonic Associates, Inc. was formed to procure land, erect and maintain a building as soon as feasible. Representatives from Victory Lodge, A. F. & A. M.; Watertown Royal Arch Chapter; Pequossette Chapter No. 141, Order of the Eastern Star; and Faith Court No. 8 Order of the Amaranth, as well as from Pequossette Lodge, comprise this corporation. A separate committee has been given the task of raising additional funds which are felt to be necessary. A parcel of land, located on the left side of Church Street between Winter and Summer Streets has, with funds provided by Pequossette Lodge, been purchased as a site for our new building and we are looking forward to occupying a new Masonic Temple in the not too distant future. Pequossette Lodge will continue to promote stability of character, conservatism and good citizenship. Outstanding early American patriots who were Masons included Paul Revere, Joseph Warren, John Hancock, Benjamin Franklin, Isaiah Thomas, Jeremy Gridley, and James Otis, while George Washington was the first of thirteen presidents who are known to have been Masons. The One Hundredth Anniversary of the Constitution of Pequossette Lodge was observed with dignified and deeply moving ceremonies, beginning on Sunday afternoon, December 8, 1957, at Saint John's Methodist Church, where devotional services were conducted by Reverend Brother Edson Gould Waterhouse, pastor, who was Chaplain of the Lodge. Preceding the church services, Worshipful Master William T. von Schoppe opened the Lodge in due form at 2:00 P.M. in Masonic Hall. A parade of the Lodge members and visiting Brethren, wearing their aprons, followed, escorted by uniformed Knights Templars, from Main Street in front of the Otis Building to the church. Well over 200 Masons were in the line of march up Mount Auburn Street and as they neared the sanctuary where 100 others were already gathered, they were greeted by the Whitney Memorial Chimes played by Worshipful A. Lester Shipton. Worshipful William W. Norcross, Jr. was Chief Marshal, and his Aides were Worshipful Arthur L. Rockwell, Worshipful George B. Wellman, and Worshipful Robert N. Alger. At the Regular Communication of the lodge on December 12, 1957, the Most Worshipful Andrew G. Jenkins, Grand Master of Masons in Massachusetts was received with his suite and he presided at the sealing of the capsule to be opened at the 200th Anniversary of the Lodge in December A.D. 2057. Brother Miles P. Robinson read the history of the first hundred years of the Lodge which he had written. The program ended with an address by the Grand Master, and the Lodge and the Grand Lodge were closed at 10:00 P.M. Previous to the ceremonies in the Lodge Room, a dinner was served in the banquet hall. Less than two years after the Centennial Celebration, the cornerstone of the new Masonic Temple on Church Street was laid by the Grand Master, Most Worshipful Andrew G. Jenkins, in accordance with ancient form and ceremony. Thus was brought to fruition a wish that had long been in the hearts of Brethren and their friends in Watertown. Members of Pequossette Lodge shared prominently and honorably in the effort with their colleagues of other Masonic bodies of the Town. The Lodge had established a building fund as early as 1921, and a Building Committee was appointed in 1923. Prudence, however, continued to dictate a cautious approach, even in the prosperous 1920's; then came the Depression, and then World War II. Not until November 12, 1953, was a new Building Committee formed, who finally "got the ball rolling." The original members were Brothers Carl B. Richardson, Chairman, George B. Wellman, Robert N. Alger, Herbert C. Harting, Andrew B. Bradford, Richard Tuttle, W. W. Norcross, III, aod Donald Ross. Two years later, Richardson resigned from the Committee because the illness of his wife obliged them to move to Florida. He was given a rising vote of thanks for his services to the lodge. Others who served on the Committee were Brothers Ralph H. Hutchins, Jr., Herbert O. Berry, Arthur L. Rockwell, and Wayne Eaton. In accordance with a report of the Building Committee, Pequossette Lodge voted on October 14, 1954 to purchase the property at 32 Church Street. Four weeks later, November 11, the committee reported that an agreement to purchase had been signed with the Knights of Pythias Associates, owners of the property. On February 10. 1955, the Lodge was informed that a joint meeting of all Watertown Masonic Organizations and affiliated bodies had taken place, and that a corporation had been formed under the name of Watertown Masonic Associates,lnc. At the communication on March 10, the Lodge transferred the sum of $1,500 from the building fund to be used for the preparation of plans and sketches. Brother Edward Sears Read, who had been engaged as architect, was at this time conducted to the East and introduced to the Master and the Brethren. Brother Read subsequently transferred his membership to Pequossette. The agreed price of the Church Street property was $13,500 plus attorneys fees and other costs necessary to effect the conveyance, and it was paid out of the funds of Pequossette Lodge. The estimated cost of the new Masonic Build- ing was $100,000. On April 14, 1955, Pequossette Lodge voted that assurance be given to the Masonic Associates and other Masonic bodies involved, that the Building Fund of Pequossette Lodge would be available to the joint Fund Raising Committee to help with the expenses necessary to erect the new Temple as planned. This fund had been considerably enhanced, comparatively recent- ly, by a $25,000 bequest from the late Brother Harry W. Brigham. The Watertown Masonic Associates, Inc., as established, included twelve trustees: Six from Pequossette lodgg two from Victory lodge, two from Eastern Star, one from the Watertown Royal Arch Chapter, and one from Amaranth. Worshipful Brother Arthur L. Rockwell was appointed Chairman of the Masonic Associates in 1956. A Fund Raising Committee was established in June 1955, consisting of ten members, two from each body. Brother Sam Goldberg of Victory Lodge was ￼elected chairman, Worshipful Brother William W. Norcross of Pequossette lodge vice-chairmen and treasurer, and Mrs. Betty Waite of the Eastern Star, Secretary. 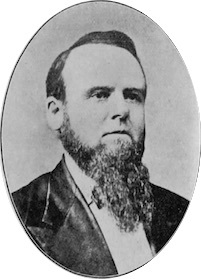 Brother Winthrop G. Rockwell also represented Pequossette l.odge on this committee. The kick-off meeting for the fund-raising drive was held in the following October. In his Report to the Lodge, dated September 8, 1955, Brother Richardson extended thanks to all members of the Building Committee "and in particular to Brother Herb Berry who has been a tower of strength in this undertaking." Bids for the construction of the new Temple were opened on June 12, 1959, and the work was started on June 28, under the direction of the general contractor, Brother Stanley D. Porter. The cornerstone was laid on September 27, A.L. 5959, a Sunday afternoon. The Grand Lodge was opened at Unitarian Hall, and at 4 P.M. marched in formal procession to the site of the new edifice. with the assistance of the Grand Lodge officers, the Grand Master laid the cornerstone in accordance with ancient form and ceremony. Brief remarks appropriate to the occasion were made by the Most Worshipful Andrew G. Jenkins, Grand Master, by other Grand Lodge Officers and by the Worshipful Masters of Pequossette and Victory Lodges. From beginning to end, and in all respects, the construction of the Watertown Masonic Temple exemplified devotion to the principle of "who best can serve and best agree," by all concerned, over a total of 131 working days. On January 14, 1960, the first Communication in the new hall was held by Pequossette Lodge. On that occasion the work was the Entered Apprentice Degree in the presence of 128 members and 16 visitors. Approximately 500 persons attended the dedication of the new temple on February 16, 1960. The ceremonies were conducted by Most Worshipful Laurence E. Eaton, Crand Master, and the officers of the Grand Lodge. A total of 398 were served at dinner in the new banquet hall. The evening closed with refreshments and dancing. A balance of $19,000 remained on the mortgage as of September 1960. On June 13, 1968, the ceremony of burning the mortgage was performed by the Grand Master, Most Woshipful Thomas Arnold Booth and the officers of the Grand Lodge. Worshipful Harrison Mallory Blake: District Deputy Grand Marshal, 1962-1963; Senior Grand Deacon, 1966. Right Worshipful Herbert Millington Davis, Jr: District Deputy Grand Master, 1974-1975. Worshipful Ralph Hiram Hutchins, Jr: District Deputy Grand Secretary, 1974-1975; Master, 34th Lodge of Instruction 1981. Right Worshipful Arthur Leroy Rockwell: District Deputy Grand Secretary, 1962-1963; Junior Grand Deacon, 1967; Master, 34th Lodge of Instruction, 1968; Proxy to Grand Lodge, 1967-1972; Grand Marshal, 1972-1975; Henry Price Medal, 1973; Senior Grand Warden, 1975; Grand Lecturer, 1981. Joseph Warren Medals were awarded to Worshipful Ralph H. Hutchins, Sr., Worshipful William W. Norcross, Jr., and Worshipful Thomas W. Phipps. In the one hundred and twenty-five years since it was constituted, Pequossette Lodge has received many gifts from generous donors. Some are of particular historical interest at this time. Among them is a marble clock which for many years hung in the anterooms outside previous lodge halls. It was given in 1870 by Brother Leonard Whitney, a leading Watertown industrialist and pub- lic.benefactor. Another is the Master's chair, given in 1870 by Worshipful John B. Goodrich. Equally significant are three donations, made at various times, by Brother Cornelius C. Hodges, who served Pequossette Lodge as Chaplain for 32 years. First who served Pequossette lodge as Chaplain for 32 years. First was the illuminated letter "G", given at the 50th Anniversary in 1907. The Second was the ballot box, given in 1912; and the third, given in 1914, consisted of the illuminated emblems over the Master's chair in the East. In 1914, a silk American flag was given by Brother George N. Chamberlain on behalf of 26 of the brethren whose first names were George in honor of our ancient Brother George Washington. The Square and Compasses, together with a gift of $50. in gold (used for purchase of officers' regalia), were presented in 1907 on behalf of the Ladies of the todge members by Worshipful Benjamin H. Dow. More recent, and already mentioned, was the bequest of Brother Harry W. Brigham, which was a key event in the building of the Watertown Masonic Temple. A bequest from Mary Ross in memory of her husband Brother Adam Ross in the amount of $500. which was used to purchase the present Line Officers' Aprons. A bequest in the amount of $1000. from R. Winson Towne in memory of his father Brother Selwyne Towne. In this, the twenty-fifth year of their second century, the members of Pequossette Lodge face the future with confidence that the work of building the house not made with hands, according to the will of the Supreme Architect, will continue in Watertown, as elsewhere, world without end. Grand Master, Worshipful Master, Brethren and most welcomed guests. Tonight, we gather together to celebrate the 150th Anniversary of our beloved Pequossette Lodge, A.F. & A.M., and look back with pride and forward with hope. It all started in 1856 when the preliminary meeting to organize a Lodge in Watertown was held at Constitution Hall in the Dana Block Building located in Watertown Square on December 17th. After working one year under dispensation, in accordance with Masonic custom, Pequossette Lodge was duly constituted on Wednesday, December 23, 1857 by M.W. John T. Heard, Grand Master. The Lodge was started with just nineteen chartered members. Wor. William Webster, the first Master of the Lodge, served a two-year term. Bro. Webster was a high school teacher and principal of several schools, including Watertown High School. The first application for degrees was received from Bro. Miles Pratt. In addition, four more applications were received in that first year, one of which belonged to Bro. Robert L. Davis. Bro. Davis is said to have contributed more than any other member to the initial success of this Lodge. He became the second Master in 1859 and served again ten years later. Also of interest is that, up to 1869, the Lodge met on the Thursday evening on or after the full moon, in order to permit easier and safer traveling on the dark roads. Since 1869, however, the regular meetings have been held on the second Thursday of each month, except in July and August. Thirteen years later, in 1870, the Lodge moved into new quarters in the Noyes Building located on Main Street, a short distance from the corner of Galen Street. On our 25th anniversary, celebrated on December 14, 1882, the Lodge had grown from the original nineteen chartered members to 284. In 1889, the Lodge moved into its third location when it rented a portion of the third floor of the Otis Building located on the corner of Main and Spring Streets. The Lodge was furnished with $1,500 raised at a Masonic Fair held at the new quarters. Some years later, Bro. Cornelius C. Hodges, Chaplain of the Lodge for thirty two years, added to the furnishings. All three gifts were designed and assembled by Bro. Hodges. The first, in 1907, was the illuminated letter “G”. The second, in 1911, was the illuminated emblems. Both are installed over the Master’s Chair. The third, in 1912, was a most unusual Ballot Box which we still use today. Until 1911, it was the usual custom for the officers to serve two years in each of the seven line positions. This meant that fourteen years would elapse from the time one become Inside Sentinel until he retired as Past Master. In December 1911, the Lodge was growing at such a rate that it needed larger accommodations. Consequently, the entire third floor of the Otis Building was leased for $1,250 per year. The expansion of the Lodge stimulated so much interest in Masonry that nearly fifty applications were received in 1914. Applications for degrees immediately after World War I were overwhelming. In 1918, a total of 63 members were added. In 1920, a total of 94 were added. At one of the meetings held during 1920 it took over four hours just to ballot on the candidates. It was necessary to hold six meetings a month. These were held on two Thursdays and four Saturdays each month from January to June. Also in 1920, a group of sixty Brethren, mostly all of whom were members of Pequossette Lodge, organized a second lodge in Watertown. The new Lodge was named Victory Lodge. The feeling at the time was that there was no time for any other business, other than balloting and working of candidates during the regular communications. A fter almost 75 years, in 1931, Pequossette Lodge membership reached its peak of 725 members. Then in October 1954, the members of the Lodge voted to purchase a parcel of land located at 32 Church Street from the Knights of Pythias Associates. In February 1955 the Watertown Masonic Associates Inc. was formed to procure the land, erect and maintain a new building. Work started on June 28th under the direction of Bro. Stanley D. Porter, the general contractor. There was employed in its construction 128 workmen. A total of 15,490 man-hours were required before the building was completed. The cornerstone was laid on Sunday, September 27, 1959. On January 14, 1960, the first communication of Pequossette Lodge was held in this “new” hall. On that occasion the work performed was the Entered Apprentice Degree in the presence of 128 members and 76 visitors. In June 1968, twelve years after initial construction began, the building was paid in full. A mortgage burning ceremony was performed by M.W. Thomas Arnold Booth. At the 125th Anniversary, in 1982, the Lodge membership was at 260 members. recognition awards were presented to honor Wor. Stewart R. Stoney and Wor. Richard E. Norcross and Bro. Lawrence A. Hutchings. The strength and support of our Lodge, as any Lodge, is attributable to its people, (in our case, the Past Masters, Officers and members). Though our membership is currently at 150, we are still a strong Lodge. Our line of officers is full. The sideline participation is increasing. We are financially solid. We are currently adding net membership. In fact, we are scheduled to add eight new members before year end, five of which will be raised at our June 2007 communication. We now look forward to our next anniversaries, especially the 200th. At the 200th anniversary we will get the opportunity to open a time capsule that was sealed at the 100th Anniversary. The various documents and articles enclosed in this capsule are expected to tell us much about our predecessors in Pequossette Lodge and about our historic Town of Watertown. We look forward to the pledge and support of these Past Masters, Officers and members for a healthy and harmonious future. This new Lodge, located in the beautiful "suburban village" of Watertown, was consecrated, its officers in stalled, and the new hall elegantly fitted up and furnished for its accommodation, solemnly dedicated, "according to ancient Masonic form and usage," by the M. W. Grand Lodge of this Commonwealth, on Wednesday evening, the 23d Dec. ultimo. The ceremonies were performed by the M. W. Grand Master in his usual impressive manner, and we be lieve to the entire acceptance and gratification of the large number of Brethren present. At the conclusion of the ceremonies the Lodge was closed, and the Brethren repaired to the Spring Hotel, (kept by Bro. Batchelder,) where a supper was spread, which, in all its appointments — in sumpluousness, variety, and good taste in the serving, — would have done no discredit to the best of our city caterers. This very agreeable part of the ceremonies having been satisfactorily disposed of, the Brethren were addressed by the Master of the new Lodge, (W. Bro. Webster,) in an exceedingly neat and appropriate speech, as introductory to the more intellectual part of the entertainments of the evening. He was followed by Col. Heard, G. M. ; R. W. Bro. Sheppard, acting S. G. Warden, Brothers Moore, Whieldon, Coolidge, Fowle, and others. The occasion was one which all seemed to enjoy, and the kindest hopes and best wishes were felt and expressed for the future pros' perity of the new Lodge and the individual happiness of its members. Ox Thursday evening, 20th ult., were installed the newly elected officers of Pequossette Lodge, located at Watertown, Mass. The ceremonies were presided over by D. D. G. M. Nickerson, of Boston, aided by P. G. Master Wm. D. Coolidge of Newton, and Wm. H. Chessman of Winslow Lewis Lodge, Boston, after which the Lodge and their guests sat down to a bountiful supper, provided by Bro. Batchelder of the Spring Hotel. The new hall of Pequossette Lodge of Watertown was dedicated to the use of Freemasonry, Wednesday evening, October 5. This hall, with. the adjoining ante-rooms, is located in Noyes's new building, and has been filled at an expense of about $2,000, nearly the entire amount having been raised by subscription from the members or received through the kindness of friends. The exercises of the dedication consisted of a public address in the town hall by Br. John B. Goodrich, a Past Master of the Lodge. The hall, in spite of the inclement weather, was well filled. After the address that portion of the audience who were holders of tickets to the dedicatory services proceeded to the Lodge-room, where the ceremonies were performed by the M. W. Grand Master, William S. Gardner, assisted by the several officers of the Grand Lodge. At the conclusion of the ceremonies, Br. Robert L. Davis, Master of the Lodge, informed all present that the stewards had prepared a banquet in the town hall. Accordingly, the party repaired to the hall, where about 125 couples partook of refreshments, and listened to speeches by G. M. Wm. S. Gardner, D. G. M. Charles Levi Woodbury, the Grand Chaplain, and various other friends and members of the order. Pequossette Lodge, F. and A. M., had a very happy time at its regular communication, Thursday evening, March 10th, in presenting to Worshipful Past Master Robert F. Home an elegant Past Master's Jewel. Brother Home was for two years Master of Pequossette Lodge, and filled the office well, and the testimonial was an expression of the general esteem in which he is held. Remarks were made by Worshipful Master Benjamin H. Dow, and the presentation was by Past Master Robert L. Davis, one of the sturdiest members of the Lodge. The recipient was thoroughly surprised, but expressed his thanks, and will undoubtedly prize highly the token he has received. The members of Pequossette Lodge, F. and A. M., and a large company of friends and visitors from out of town, celebrated on the evening of December 14th their twenty-fifth anniversary. Music was furnished by a special quartette from Waltham, and a collation was an interesting feature of the evening's entertainment. The history of Freemasonry in VVatertown dates back more than a quarter of a century, as Meridian Lodge was chartered December 23d, 1797. This ancient Lodge had jurisdiction between Boston and Concord, this State, and the meetings were held alternately in VVatertown and Natick, but the Lodge was finally removed to Natick. Pequossette Lodge was formed Dec. 23d, 1857, and constituted with the usual ceremonies. Brother R. L. Davis is the only surviving charter member, and the original list of officers was as follows: William Webster, W. M.; Daniel H. Marshall, S. W.; Joseph B. Keyes, J. W.; Henry Derby, Treasurer; Warren J. Lindley, Secretary; Isaac Watts, S. D.; George K. Hooper, J. D; Henry C. Vose, Chaplain; George Marsh, Marshal; Alfred Howes, S. S.; Adolph Lewando, J. S.; Asa Stone, Tyler. Members: Asa Pratt, Daniel Howard, Charles Wilkins, Sewall Hiscock, J. H. Clarke, Robert Murray, David B. Horn, Samuel Richardson, Daniel Marshall, George Hill, William Nichols, Horace Clark, William B. Fowle, Jr., Leonard Whitney, and George A. Hicks. The Lodge has always flourished, and the present membership is 130. By special request the officers of this Lodge in Watertown were installed on the evening of St. John's Day into their respective offices by Wor. Bro. Alfred F. Chapman, assisted by Bro. Seranus Bowen, M. D., as Marshal and Wor. Bro. John Haigh as Chaplain. At the conclusion of the services, the brethren were all entertained with strawberries, ice cream, cake and coffee; and a season of social enjoyment was passed pleasantly. O.; F. H. Edgecomb, T.
Masonic Hall contained a large number of the craft Thursday evening, Nov. 12th. There was a good delegation from Waltham, from whence the D. D. G. M., Ambrose Webster, had come with his suite, to pay Pequossette Lodge an official visit; delegations from Newton, Belmont, from Meridian Lodge, Natick, which originally held its charter in Watertown, and other brethren were present. After the inspection, and an exemplification of the work on first degree, a collation was served, followed by excellent addresses from members and visitors. The condition of the lodge is excellent. The evening's programme, which, by the way, had a perfect facsimile of the charter granted to Pequossette Lodge by the Grand Lodge on December 15, 1856, printed on its outside cover, provided for a reception from 7 to 8 P. M., and for the installation of officers from 8 to 9 P. M. The reception committee was made up of Past Masters of the Lodge, as follows: R. F. Home, G. H. Tarlton, S. F. Stearns, B. H. Dow, A. F. Haynes, I. Harrington, and J. B. Goodrich. The reception was in every particular a most successful feature. The lodge-room had a beautiful decoration of flowers. In the reception-room the chandelier was handsomely twined and wreathed with vines and flowers, and the whole effect was most pleasing. Organized Freemasonry had its birth in Watertown December 11, 1797, when Meridian Lodge received a charter, its jurisdiction embracing all towns between Boston and Concord. In the anti-masonic times, beginning with 1827, Meridian Lodge changed its place of meeting from town to town. Meridian Lodge finally found an abiding place in Natick, where it has a large membership and elegant and spacious Lodge-rooms. For a period of twenty years or more Watertown had no Lodge, prior to the coming of William Webster from Lexington as teacher of our high school. He had taken the degrees in Hiram Lodge, which met at Mr. Pattee's house in Cambridge, and, interesting some of the old-time Masons, and getting a few others to take degrees in Pattee's Lodge, it was decided to form a Lodge in this town. A preliminary meeting was held December 17, 1856, in Dana Block, and January 13, 1857, a dispensation was received, under which, in accordance with masonic custom, the Lodge worked a year. Pequossette Lodge was formally constituted by Grand Lodge officers December 23, 1857, John T. Heard being the Grand Master. The first public installation was held December 29, 1858. The wives, sisters, and lady friends of the members of the Lodge we present, the officers were installed by District Deputy W. D. Coolidge and suite, and it was a very pleasant occasion. The first meeting in the hall in Noyes Block was held September 8, 1870. Those quarters were a great improvement over the first ones, and it was probably felt at that time that they could not be improved upon. The ladies then, as now, came forward, and, while no fair was held, yet they raised by subscription $140.50 to pay for a chandelier. This is not the only instance in which the ladies have shown their kindness. The magnificent copy of the Bible which rests upon our altar and serves an important part in our ceremonials, was the gift of a lady, and the beautiful hand-painted bookmark it contains another lady gave. At the time of our recent fair we lelt that success lay in getting the ladies interested. The extent of their interest and consequent success of the fair were far beyond our expectations. We have had not more than two or three public installations, and this one is given in special compliment to the ladies. Mr. Haynes then, after noting the causes that had led to the seeking of new quarters and the attempt to organize a stock company for the erection of a masonic building, told of the measure that had resulted in securing the rooms in the Otis Building, and of the fair and what it had accomplished. "Pequossette Lodge has prospered," he continued, "is prospering, and is likely to prosper in the future. It is a question if any society of its size, thirty-three years old, can show a more harmonious and pleasant condition of affairs. Its membership roll has borne the names of over three hundred of our active citizens, and its membership has averaged one hundred and twenty-five. Among those who took membership in early years were Rev. Dr. L. T. Townsend, Rev. Bradford K. Pierce, late of Newton and editor of Zion's Herald; Ex-Mayor William B. Fowle of Newton, who is now an honorary member; J. S. Allison, Jonas Chenery of Belmont, George K. Snow, Joseph Crafts, Leonard Whitney, G. H. Sleeper, Miles Pratt, whose application for the degree is the first one on the records, and J. W. Magee, who remained a member for a quarter of a century. The present marshal, Worshipful Brother Robert L. Davis, was initiated March 13, 1857, and has been an active member of the Lodge from the first. To him more than to any other individual member the Lodge is indebted for its long-continued prosperity. Business men, leading citizens of the town, have joined our ranks; and, while we hold out no flaming inducements, we believe it has been a good thing for them as well as for the Lodge. The tenets of our profession as Masons are brotherly love, relief, and truth ; and these are good foundation-stones on which to build a temple to the most high God." In closing, Mr. Haynes said: "I congratulate the Lodge on its present welfare and auspicious future, and would return thanks for its many courtesies to me. I congratulate my successor, Worshipful Master Herbert H. Sawyer, upon the success which has crowned his first year in the oriental chair, and assure him that in the future, as in the past, he will receive my earnest cooperation and support. And I wish to say to the ladies that there is an undercurrent to this society life. Many deeds of kindness, many acts of charity, have been done by Pequossette Lodge, of which I feel proud. We are a band of brothers, united by ties ancient and quaint; and, although these meetings do call us away from our homes and firesides occasionally, it is only to return refreshed by a brotherly interchange of thought." Marshal, Worshipful Brother R. L. Davis; Senior Deacon, C. F. Bustin; Junior Deacon, J. M. Johnson; Senior Steward, J. H. Clifford; Junior Steward, G. S. Parker; Inside Sentinel, J. H. Fraser; Tyler, F. H. Edgecomb. The whole ceremony was conducted in Mr. Marshall's usual able and impressive manner, and was most effective. At its conclusion the entire party sat down to tables bountifully laden with tempting viands and handsomely adorned with flowers. The whole affair was well planned and most success fully executed, and will always be counted as one of the bright spots in the Masonic history of the town. The 50th Anniversary of Pequossctte Lodge, A. F. & A. M.. Watertown, Mass., was observed Thursday, December 12th. It was an old-home night for the members of the lodge, about 200 of Whom were present. A banquet was served, after which the formal exercises were carried out in a most successful manner. A history of the lodge was read by Wor. Brother A. F. Haynes and a musical program enjoyed. An unexpected and very welcome guest was the Grand Master, Most Wor. J. Albert Blake, who was accompanied by R. W. George P. Whitmore, District Deputy Grand Master of the Fifth District. A pleasing incident of the evening was the presentation of fifty dollars in gold, to the lodge, by the ladies. The coin was at ranged in a case in the figure of a square and compass. The following officers were elected: William D. Swan, Worshipful Master; Claude H. Clarke, Senior Warden; Charles A. York, Junior Warden; William E. Farwell, Treasurer, and S. Eugene Proctor, Secretary. An Old Home night, such a reunion of its members, old and young, as Pequossette Lodge of Freemasons, in Watertown, Mass., never held before, and probably will not see again for some years to come, made a joyful, brilliant occasion of the fiftieth anniversary of that fraternal body. Out of a total of 270 members, 200 met in the town hall at 6 o'clock, on the afternoon of Dec. 12, to partake of a bountiful dinner. Wor. Master William D. Swan, who aided by his faithful committees had labored well to secure success, glowed with pride and pleasure as he sat at the head table with a long line of past masters at his right and left hand. Toasts were drank, with water, to the Master, the Past Masters, the Lodge and the Grand Lodge. The senses were exhilarated, but not intoxicated. At 7.45, the party assembled in the lodge room, a short distance from the town hall. First came the regular business of an annual meeting, when the following were reelected for the ensuing year: Wor. William D. Swan, W. M.; Bro. Claude H. Clark, S. W.; Bro. 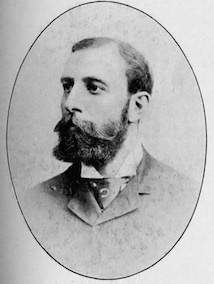 Charles A. York, J. W.; Bro. William E. Barwell, Treas. ; Wor. S. Eugene Proctor, Sec. Then was heard a knock — or three rather — on the door and the Deputy Grand Marshal was admitted, who announced the unexpected, but welcome visit of Grand Master John Albert Blake, in company with District Deputy George P. Whitmore. They were introduced by a committee, received with warm applause and remained until the program of the evening was rendered. The Grand Master jocosely said that he, with his two visiting associates, not having been formally invited, had "entered into a horrid conspiracy" to attend this important anniversary. Later, he spoke encouragingly of the project of establishing a Masonic Home in Massachusetts. Past Master Charles Brigham gave interesting reminiscences of the early members of the lodge, He also with congratulatory remarks presented to Wor. Master Swan a Past Master's jewel. Wor. Bro. Benjamin H. Dow, speaking in behalf of the "wives, daughters and sweethearts" of the lodge members, presented fifty dollars in gold to the lodge. This surprise gift from the ladies was in the form of twenty $2.50 gold pieces, arranged in a velvet case to represent a Masonic square and compasses. After a finely rendered solo by Bro. W. H. S. Hill, with violin accompanimeut by Bro. K. G. Home, there was an historical address by Wor. Bro. Alberto P. Haynes, a Past Master of the lodge. From it the following abstract was taken. Organized Freemasonry made its bow in Watertown with the institution of Meridian Lodge, the date of its charter being Dec. 11, 1797. Its jurisdiction extended from Watertown to Concord. During the anti-Masonic period of 1827 and later, the meetings were held alternately in Watertown and Natick, either ai private houses or public halls. The turniture was transported in teams, the lodge members carrying guns for the protection of themselves and their goods. Fire destroyed the furnishings and charter, but the vitality of the lodge was not disturbed. The excitement over Morgan's mysterious disappearance died away, Freemasonry regained the public good will, and finally Meridian Lodge chose Natick as its permanent abiding place. It has grown into a strong active body. occupying elegant and spacious quarters. A number of years ago Pequossette Lodge of Watertown sent a committee to Natick, to present the original gavel to Meridian Lodge. In return for this courtesy, the Natick Lodge formally presented to the lodge at Watertown a beautifully engrossed testimonial of thanks and esteem. For twenty or more years Watertown had no lodge of its own, until 1857, when Pequossette Lodge was constituted. The preliminary meeting was held in Constitution Hall, Dana Block, on Dec. 17, 1856; the first regular meeting Jan. 13, 1857, and after working a year under dispensation, a charter was granted under dale of Dec. 9, ger the lodge being duly constitut ed Dec. 23, 1857. The nineteen charter members were among the leading business men of the town: no one of them is living now. The first Master was William Webster. principal of the high School, recently come from Lexington. He took his degrees in Pettee's Lodge, so called because the communications were held in the residence of Wor. Bro. Pettee, West Cambridge. This is interesting as showing the disadvantages under which the fraternity labored in the first half of the nineteenth century. In the same line may be recorded the Sunday evening meetings of Watertown Freemasons during a portion of that troublous time, to rehearse the lectures of the three blue lodge degrees. Pequossette Lodge has prospered with the passing years. On Sept. 8, 1870, it removed into much pleasanter rooms, newly constructed, in the Noyes Building. Many delightful evenings were spent there. The officers were efficient, the work was excellently exemplified, while the Saturday evening sodalities, and other social and festive occasions, were greatly enjoyed. But as the membership grew the accommodations seemed to be cramped, resulting in a movement, quite earnest for the building of a new Masonic Hall, by members of the fraternity. It was felt to be too much of a venture, and was reluctantly abandoned. Good results came from the agitation, however. Two of its members, the Otis brothers, after consultation with the lodge, decided to erect a block for their own business uses, with offices on the second floor and a fine hall, banquet room and ante-rooms in the third story. Pequossette Lodge held a fair in December, 1889, which netted $1500. This was used to decorate and furnish the new abode. On Jan. 29, 1890, in honor of, and complimentary to the ladies, whose cordial aid had rendered the fair such a success, a public installation and reception was held. It was a gala event. Rt. Wor. Bro. Wyzeman Marshall, the noted elocutionist, giving a brilliant rendering of the ritual. The company present numbered 250. On Feb. 26, 1890, the lodge rooms were dedicated with impressive ceremonies by Grand Master Samuel Wells, assisted by the grand officers. At the banquet which followed, Wor. Master Herbert H. Sawyer read a newspaper account of a dedication by Meridian Lodge in Watertown in 1798. The new quarters were more spacious by far than those previously occupied, of attractive appearance and very convenient. In them the growth of the lodge has been remarkable. Its membership has more than doubled. In August, 1890, the membership was 121, the preceding 22 years having shown a net gain of only 33. During the 17 years since there has been an increase of 167, the total now being 268. The three years most prolific with new admissions were those ending with August, l896, under Wor. Master Charles F. Bustin, 24; August, 1902, when Wor. Master S. Eugene Proctor certified to 23; and August, 1906, with 24, as credited to Wor. Master Joseph W. Gerry. Such a growth has naturally filled whatever vacuum may have at first existed in the lodge and banquet rooms, which have on several occasions been overcrowded. Relief has been sought in various ways, but not with full success. The lime is not distant when there will be an imperative demand for increased accommodations. It is 33 years this month, said the Historian, since I became a member of the lodge —just two-thirds of the half-century which we are now celebrating. Perhaps I am qualified to select the dominating personalities of the lodge. We are weaving here a wonderful tapestry of names, n marvelous intermingling of human lives. I know you will not be envious bin only applaud me, when I present, as the most marked personality of our lodge life, our late Rt. Wor. Bro. Robert L. Davis. He was in office 30 years out of the 35 of his membership, serving two terms, of two years each, as Master —- the only one who has been thus honored. Then for 22 years he was Marshal, until his death in August, 1892. About 200 Masons attended his funeral in the Unitarian Church, most of them following the body to the grave in Littleton. At that time it was said in eulogy: "His record will probably never be equalled in Pequossette Lodge, and his peculiar and original individuality will never be replaced." I must place in the coronet of lodge jewels Wor. Bro. Benjamin H. Dow, for it would ill become us to forget 10 do In image to the living while we may. Nor can I refrain from mentioning my own true companion, and perhaps closest personal friend, Wor. Bro. Isaac Harrington, of whom it was said: "The Master's jewel never lay upon a truer heart." He became a member here on April 25, 1872, and died on July 27, 1895, at Wakefield, Mass. Time does not permit extended eulogies in regard to Bro. William H. Howard, a steadfast and devoted Mason; Bro. Freeman H. Edgcomb, our longest serving Tyler; Bro. Alfred H. A. Groeschner, whose generous thought for the needy caused him to bequeath $1,000 to Pequossette Lodge, for its charity fund, and nearly $30,000 to found a Home for the aged in Watertown; Bros. Henry P. Hubbard, James H. Fraser, William H. Dadman, John K. Stickney; Wor. Bros. Charles T. Perkins and Robert F. Home, and others who have entered the Celestial Lodge above. And death and time shall disappear." But I would not have this story end in sadness. The true purpose of Masonry is to make men happier, kinder, better. To the young members it is a source of inspiration; upon the lives of the older members it has poured a blessing. Passion, ill feeling, jealousy have no abiding place in the lodge room. Harmony, fraternity, sociability, love for all humankind—these are the lessons taught, with a view of making the world brighter and fairer, life sweeter and more full of cheer. And I can truly say that never was the high aim of Freemasonry more clearly maintained than it is at the present time. The standard of the work, the seriousness with which it is conducted, the joy and delight of our social gatherings, have never been surpassed. Our officers exemplify m their conduct the dignity and high importance of their office, while our nearly 300 members are deeply imbued with a worthy spirit of brotherhood. May Pequossette Lodge continue to increase and multiply in the future as it has done in the past. The prospect is very alluring. Its silver anniversary has long since passed, its golden setting of time has come to us now, but ahead of us lies the diamond jubilee, of which other lips than mine shall speak, and many, many fragrant and beautiful years beyond. The members of the executive committee, having charge of this very successful golden anniversary were as follows: Wor. Bros. William D. Swan, Alberto F. Haynes, S. Eugene Proctor, Edwin K. MacNutt and Joseph W. Gerry; Bros. Claude H. Clark, Charles A. York, William E. Farwell, John A. Bridges, Guy H. Nason, James Bailey and George H. Dale. Grand Master Dana J. Flanders made a Fraternal visit to Pequossette Lodge, Watertown, Thursday, February 24th. He was accompanied by Rev. Dr. William H. Rider, Deputy Grand Master, George W. Bishop and Elias P. Morton, past Grand Wardens, Charles H. Ramsay, Grand Treasurer; Thomas W. Davis, Grand Secretary and other officers of the Grand Lodge. In addition to these brethren many lodges were represented by Worshipful Masters. The important features of the visit were the stirring speeches of the Grand Master. Deputy Grand Master and Grand Secretary, appealing for contributions for the Masonic Home. The Grand Master stated that $140,000 had been pledged and the buildings had been paid for, but $150,000 was needed to complete the endowment fund. He had confidence if the members of the craft took hold in earnest that the home would be opened this year. "For the glory of the commonwealth and the fraternity let us sec to it that the home is established at the earliest possible moment," said the speaker in closing. Rt. Wor. Thomas W. Davis impressed must strongly on the large meeting the importance of having a home and pointed out how it could be established at a trilling cost if all the Masons put their hearts — and two cents daily — into the undertaking. Rev. Dr. William H. Rider said in part: "On the strength of that great fraternity of which we form a part, we are bound to see this great work of love go on — yes and it will go on," he declared, and as his words rang out there was vigorous applause. "The 57,000 Masons in this state have determined to have it. Why, you should consider it a great privilege to contribute. You will be as proud in giving as they will be in receiving," he declared. Pequossette Lodge, Watertown, Mass., enjoyed a Past Master's night, June 13th, of a unique character. It was the occasion of the largest gathering of clergymen that ever assembled at a lodge meeting in this or probably any other lodge in the country. There were no less than seven in the official stations two of whom are members of Pequossette. The officers for the special ceremony were: Rev. George J. Prescott, rector of the Church of the Good Shepherd, Boston, WM of Columbian Lodge, as WM; George Hopkins, PM of Isaac Parker Lodge, as SW; E. K. MacNutt, PM of Pequossette Lodge, as SD; Rev. George G. Mills, pastor of the Unitarian Church, Watertown, member of Pequossette Lodge, as JD; Rev. John Matteson, rector of the Church of the Messiah, Auburndale, and Chaplain of Columbian Lodge, as C; C. C. Hodges, as SS; Rev. Ilsely Boone of Pequossette Lodge, as JS: Rev. R. N. Magoun, rector of Trinity Church, Woburn, member of Shawnee Lodge, Shawnee, Ok; Rev. H. H. Saunderson, pastor of Harvard St. Unitaria! Church, Cambridge, and Chaplain of Amicable Lodge, with the charge delivered bj Rev. John Wallace Suter, rector of the Episcopal Church, Winchester, and Chaplain of the Lodge of St. Andrew. Among' the other clergy invited were: Rev. James Sheerin, rector of St. Matthew's, South Boston, member of Old Erie Lodge, Warren, O; Rev. Dr. Charles H. Day, pastor of the Baptist Church, Watertown, member of Prince of Wales Lodge, Nova Scotia; Rev. Robert Murry, rector of Christ Church, Boston, chaplain of Monitor Lodge, Waltham; Rev. Robert Walker, chaplain at Concord Reformatory, Chaplain of Mizpah Lodge, Cambridge; Rev. Paul Sterling, rector of Trinity Church, Melrose, and Chaplain of Wyoming Lodge, that city; Rev. Harry Lute, pastor of Channing Church, and Chaplain of Fraternity Lodge, Newton; Rev. Ralph M. Harper, curate of St. Paul's, Boston, member of Mt. Olivet Lodge, Cambridge; Rev. Albert Hammatt, pastor of Universalist Church, and Chaplain of Dalhousie Lodge, Newton; Rev. Sumner U. Sherman, rector emeritus Episcopal Church, Jamaica Plain, and Chaplain of Eliot Lodge in that district; Rev. George W. Cutter, pastor of Unitarian Church, Neponset; Rev. H. Grant Person, pastor of Eliot Church, Newton, and Rev. Edward T. Sullivan, rector Trinity Church, Newton Center. Worshipful Master Bridges extended his warmest thanks to the clergymen who had responded to his invitation, and said that the lodge would always bear them in the kindest remembrance in thus honoring it. Pequossette Lodge, Watertown, Mass., was the scene of ovation, gift giving and congratulations to an extent rarely witnessed on the occasion of the public installation of the officers, January 5th. More than 250 were in the company. The new Master is Walter Henderson, a past Commander of Gethsemane Commandery. K. T., Newton. As a compliment to him about a score of Gethsemane Commandery Drill Squad marched into the lodge led by Lieut. Harry W. Twigg. Grand Steward Herbert M. Chase was introduced by Past Master Joseph W. Gerry as the installing official, and one of the committee of reception was Grand Capt. of Guard Asa C. Jewett of the Grand Commandery, K. T. Past Master George A. Adams of Norfolk Lodge was the marshal for the induction. Worshipful Master Henderson's first official act was to bestow on his predecessor, Wesley K. Monk, a Past Master's jewel, and he gave to Grand Steward Chase a set of cuff buttons, while to Marshal Adams went an amethyst scarf pin. On behalf of the candidates admitted during Worshipful Master Monk's term, a Past Master's apron was presented to him by Rev. Joseph M. Shepler. Treas. Parwell has concluded 25 years in that office and as a mark of appreciation for his services, Past Master Monk pinned upon his breast an emblematic gold jewel. Past Master Monk again realized how good it is to receive. A diamond stick pin came from 75 of his friends within the lodge and Past Master George H. Dale, who was their spokesman, said to the recipient, referring to the fact that he is a member of the Legislature: "You have earned the respect of your fellow citizens and merited the honors they have bestowed on you." Some of the associates of Worshipful Master Henderson, who is secretary of a Boston corporation, appeared and with Past Master Edward J. Ripley as spokesman, gave him an ivory gavel. Among the guests were Grand Warden William M. Farrington, Grand Sword Bearer J. Everett Brown, Worshipful Master A. W. Pratt and Past Master W. H. Walker of Amicable Lodge, Commander George U. Bauer of Boston Commandery. Commander C. E. Burleigh of De Molay Commandery, Past Master A. M. Parker of Rural Lodge and Past Commander George Breeden of Gethsemane Commandery. The affair closed with a dance. Saturday evening, Nov. 29, will long be remembered by the Masonic fraternity of Watertown, and their guests who were present at the special meeting of Pequossette Lodge held in Masonic Hall. The occasion was the annual visitation of District Deputy Grand Master George H. Dale, who has done much towards the establishment of the local lodge. The affair was one of the most notable ever observed locally. Bro. Dale acted as the official representative of the Grand Master in the Fifth Masonic District. Added interest was given to this event because of the fact that both the Deputy and his Marshal, Wesley E. Monk, are both Past Masters of Pequossette Lodge and that they have completed their visits in the district, making this occasion a "homecoming" as well as a final completion of their official duties in the district. As a testimonial of the regard and esteem in which both of these brethren are held by their fellow members of the Masonic Hall was filled to its capacity. The deputy addressed the brethren, outlining the activities of the fraternity. The official returns show that the local lodge is in a very prosperous condition, with a membership of over 600. At the conclusion of his address both he and his marshal were presented with bouquets by Worshipful Master Hugh Goddard in behalf of the members of Pequosette Lodge. The District Deputy was also the recipient of a valuable "Willard" wall clock, which bears the inscription "Presented to R. W. George H. Dale, D. D. G. M., Nov. 15th, 1919. by the lodges of the Fifth Masonic District." Wor. Master Goddard acting as the spokesman expressed the hope that "these hands will never point to the hour when you will not be held in as high regard by your brethren as you are tonight." After a grateful acknowledgement by Wor. Brother Edgar, Master of Belmont Lodge, presented to Deputy Grand Marshal Monk, a mahogany mantle clock as a visible symbol of the regard in which he is held by Masters in the district. Wor. Brother Monk responded with deep appreciation, stating "that his time had come" but he earnestly hoped that the ties which bound him to the givers would become stronger as tune rolled on. During the evening the third degree was exemplified by the officers of the lodge upon five candidates for the consideration of the inspecting officers. This page was last modified on 1 March 2018, at 14:07.